There are only two available categories of what novels I read – “The ones I liked reading, and the ones I loved reading”. Most of “the Cook Books” I read have made me fall in love with them all. So far I have read about 12 of his works which have always amazed me at the grueling medical possibilities lest the horror that they have to offer the reader to keep them from eating and sleeping without thinking about the subject and pondering over for the side effects of technology and business on medicine. One such novel is “Mindbend” (1985). People presume that pharmaceutical companies are the ones which provide real solution to human illness. Doctor prescribes what he has learnt is the best among the available brands. More than the chemical composition of a medicine, marketing is taking a toll over the general opinion that a Doctor arrives to, by judging through summaries of some real research in journals. The novel shows how doctors are pitched for making a positive opinion about the medicines released afresh by the pharmaceutical companies, how much important are the executives in convincing medical practitioners to prescribe their company’s medicines. Horror reveals page by page when renowned doctors go on conference cruise organized by a pharma company, Arolen, and when they come back in business, a good ten percent doctors either join the Julian Clinic run by the same mother company MTIC or they start acting as if they are its drug marketing agents. Adam, a Doctor to be, joins Arolen because of his financial fix when his wife Jennifer has an unplanned pregnancy. Jennifer thinks her developing child is safe in trusted hands of her Gyn, Dr.Vandermer. Jennifer is agonized when the doctor suggests aborting the baby owing to its genetic abnormality. 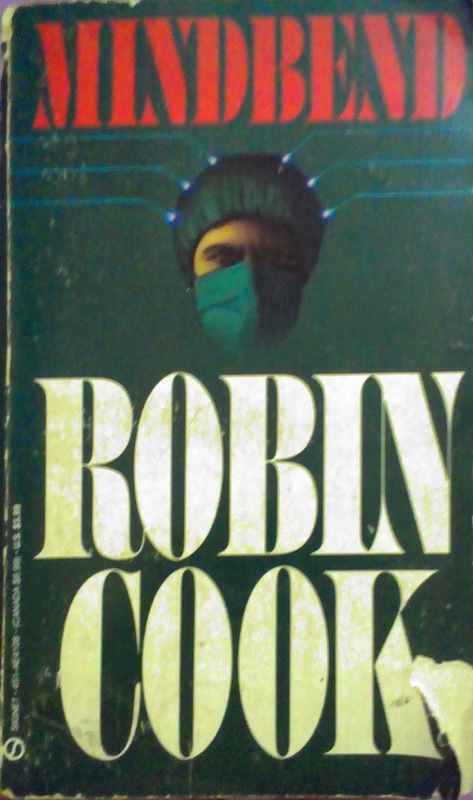 Being sales personnel of Arolen, Adam grows suspicious about the cruise when Dr.Vandermer so strongly prescribes a medicine of Arolen he hardly had belief in, after he returns from Arolen conference, announces that he would join Julian clinic and his behavior seems so parallel with rest of the staff at Julian clinic. Adam finds out in his nerve racing trip in Arolen cruise impersonating a doctor and later in his stay at their research station, that they modify the minds of the medical troupe on cruise though psychotropic drugs and psychosurgery. Though the story seems farfetched to be true, it explores the possibility of business taking over the noble profession of treating people of their illness. Needless to say, the story makes the reader race from start to end at one go!